I've never used planner ever for any purpose before. Always jotting down ideas, goals and to-dos onto plan paper with a pen, never getting organize nor framing out the workflow. But recently I was given this planner for the purpose of review by Nadalie, the creator and designer of the planner herself. I have started using it for the goals I'm working on for 2018 and writing my honest views about this planner in this post today. Inception: This is a Goal Planner, and is all about figuring out your most important goals, start working on it, track + analyze your progress and actually accomplish it in the end. Consist 6 chapters/parts in total. Let me get you through what actually you'll get in it. It basically starts with setting your intention upfront in the very first chapter then moving on to dig deep and find your number one goal. Afterword 4 pages exercise will help you breakdown your main goal into four mini actionable goals. When you done setting the goals in there, the next part is about recording the steps in achieving your goals. We can say that it is a custom road map where you can plan your months and year as well. The second last chapter comes with 22 pages of worksheets all about to-dos (weekly/monthly) related to your goals to keep track of your tasks while you are working toward it. And in the last chapter, you can review your month and year on one page worksheet. Guiding prompt is given as how to review it actually. What I love is that there are line-pages given in the end of the planner for daily reflections/dairy purpose. Why you need it? 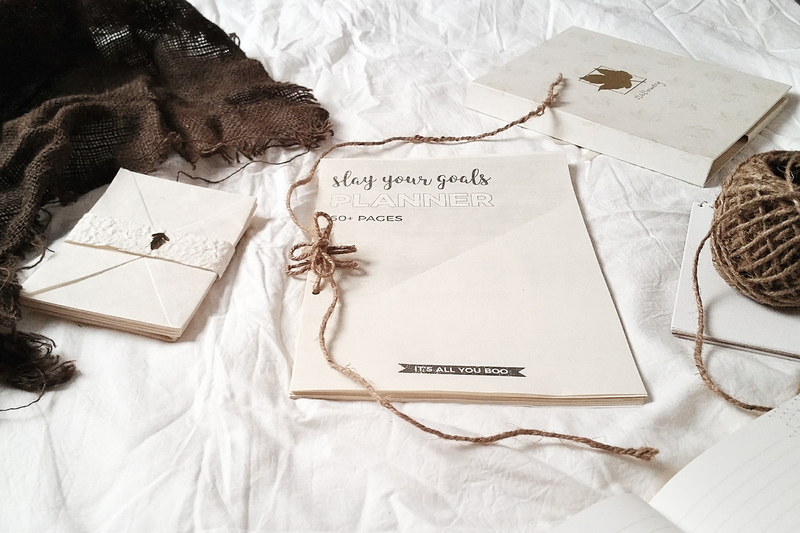 If you are looking for tool to use for planning, setting, tracking and slaying your goals, this planner is perfect for all those need! 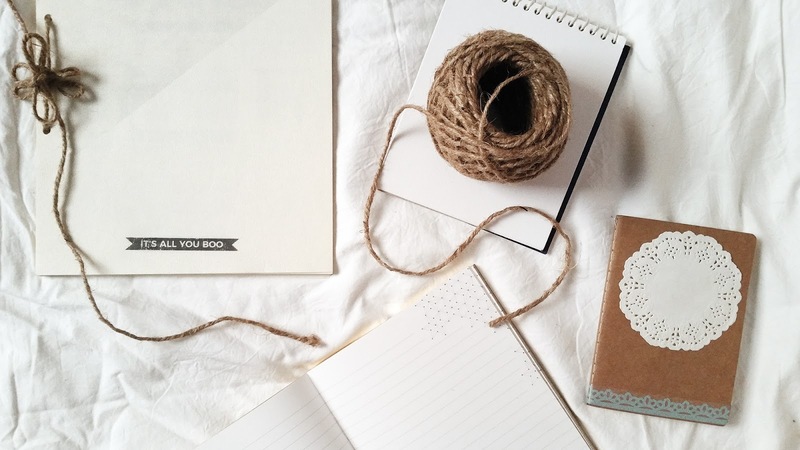 It has pretty much everything to help you get started, cross-off your to-dos, evaluate your 5W + H (whos, whys, whats, wheres, whens and hows) and work on making your goals SMARTer and RIGHTer. Wins: Inspiration quotes as well as detailed instruction, examples and tips written with in the planner to help you easily use it. Second, it's printable and undated, means you can print how many times/pages you want in how ever way you like. 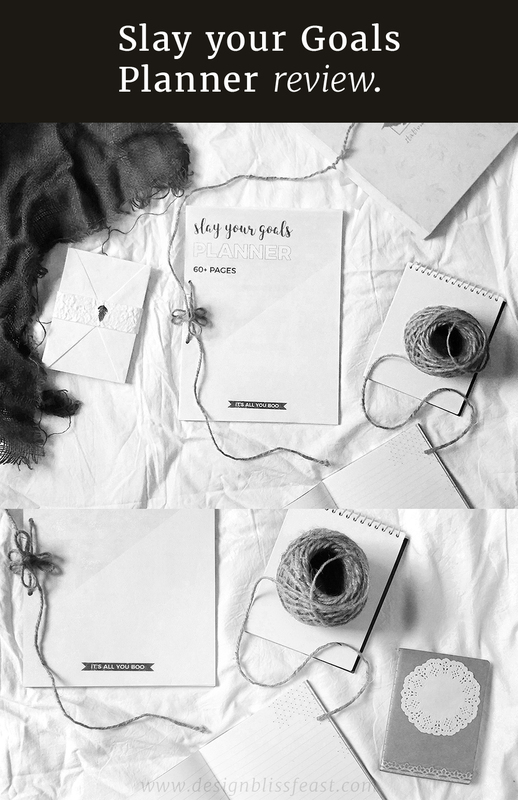 I chose to keep it black and white and printed over textured off-white A4 papers, later tied it with jute rope. I think, there are many ways to get creative with it. Find all the details on planner and link to purchase through this link. 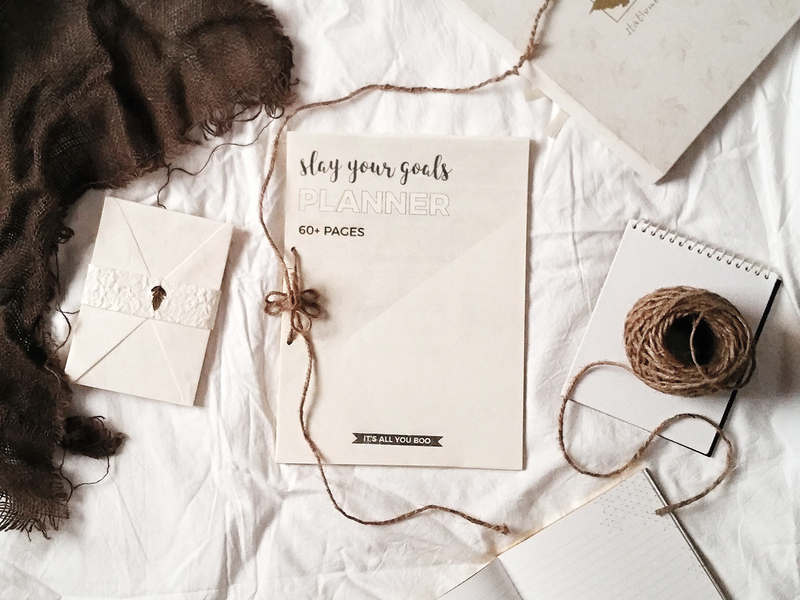 Now share with me what planner are you currently using for goal setting in 2018?